The luminous body is generally tungsten, through which an electrical current travels. As a consequence (due to heat) it begins to burn. The inside of the glass can't have oxygen for the filament not to ignite. Generally, they are filled with nitrogen or some noble gas. A very small percentage of the released energy, between 4% to 7%, is transformed into light since the rest is released as heat. This is why we burn our hands when we touch them. 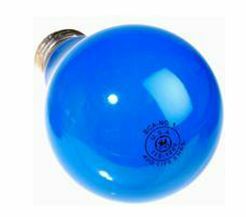 In a simple way, light bulbs are composed by 1 part blue, 2 parts green and 3 parts red. This is only accurate when the light bulb is new. As we start using it, both the intensity as well as its colour temperature, decrease. They produce a yellow light. 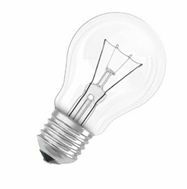 A) Regular household light bulbs: they are filled with nitrogen, except for those really small ones, in which a noble gas (krypton) is used. They last more or less 100 hours. The colour temperature is 2800 K. If they are used with a white balance of daylight, the picture comes out yellow. They can be used in photography. However, be aware that these type of lamps are not too potent when using them for photographs. This means we will have to use a tripod or a high ISO for the picture to be well exposed and not moved. 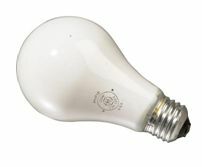 B) Photo type B lamps: their power can be 250, 500 or 1000wts. The colour temperature is 3200K. They last from 50 to 100 hours. The fill they use is nitrogen. They are used in photography because they are more potent than household light bulbs. We have to bear in mind that these lamps produce a great intensity of light and great amount of heat. Therefore, we need to use special equipment wherever we use/connect them. Do not use this type for the lamps at home. 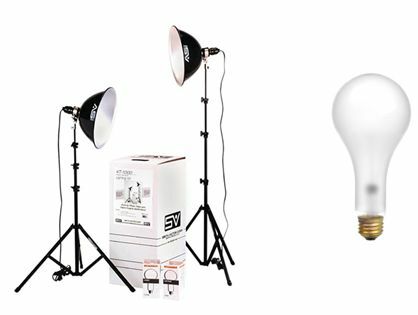 In the first image below, you can see a set of tungsten lamps which are sold for photography and even video. C) Type-s photo lamps: they are filled with some noble gas. The colour temperature is 3400K. They last from 2 to 15 hours. They are also covered with a blue filter, thus, the colour temperature is 5500K (daylight). These lamps are the same as the previous lamps but when they are covered with the blue filter, they become white light. This means we can use them without having to use filters (in the case of shooting with film) or we can use the White Balance at daylight. They also need special equipment and it is not convenient for us to use them in lamps at home. D) Enlarger lamps: the glass is opaque. The colour temperature is 3200K and they last from 50 to 100 hours. They are used for enlarger machines to make negative copies. Generally, they are not used for photography.